Keeping these relatively brief so I can catch up without writing a blog post that'd border on being long enough to make into a book. I'm including only books I actually finished, nothing that was so terrible or dull that I couldn't bring myself to keep reading. “Do I have to talk to insane people?" 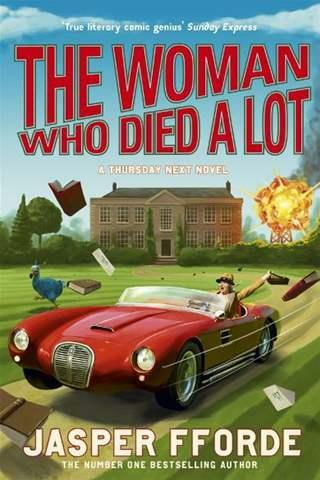 The woman who died a lot is the seventh Thursday Next book by Jasper Fforde and at this point we've almost caught up with the alternate modern-day. Some of the things that were so central to the earliest books are missing entirely. Whilst before reading this I might have called that a deal-breaker, especially as book six, One of our Thursdays is missing did not particularly live up to the high standard set by the earlier books, I thought this book worked brilliantly without those things, and delved far deeper into things that were important before but clearly had a lot more to offer. What they are, I shan't say, because I don't want to ruin such a fantastic series for other people. Despite the big changes, this book was fantastic. It had a bit of the whodunnit mystery about it, after a while the reader can cotton on to what's going on - but there are things stopping the characters from seeing this. It's a lot of fun, especially trying to work out how the main characters might go about finding out. If you haven't read the series, just do. They're brilliant. I'm a long-time fan of fantasy short story collections and with names like these on the cover, how could I resist? 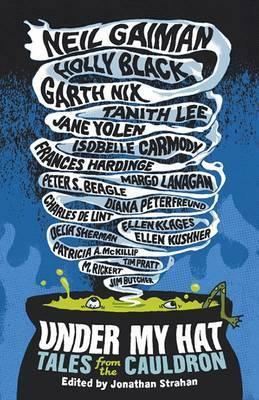 Under my hat contains a lot of stories, and pleasantly every single one of them was new to me. I often find that modern collections contain quite a few that have been recycled over and over. I'm not sure if they can be found elsewhere or not but they're a great read! Don't be turned off by the book being listed as for children - the stories are full of depth and detail and are really wonderful. Three favourites of mine were A handful of ashes by Garth Nix, B is for bigfoot by Jim Butcher and Great-Grandmother in the cellar by Peter S. Beagle. There were plenty more great stories in here, once again a thoroughly recommended read. 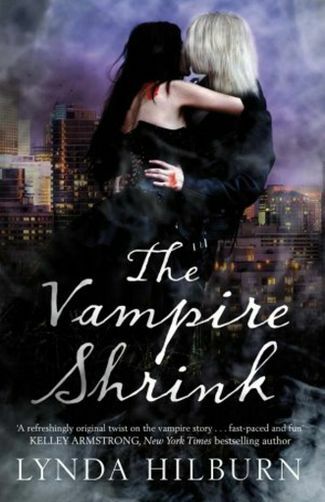 I picked up The vampire shrink by Lynda Hilburn for two reasons. First, the premise, a psychologist treating those who might or might not be vampires or just pretending. Second, the reviews about the place promised me that this was, if not entirely free of the paranormal romance angle, not suffering from the same things that generally drive me away from that particular genre. The first half of the book was quite good. The premise and character were interesting, well detailed and developing quite well. Then along came the designated love interest and the strong heroine started, with what felt like token doubts, just following about and Being Protected. A real pity, because the first half of the book was shaping up quite well. I'm not averse to romance in a story, I just wind up frustrated that it so often ruins what might have otherwise been a pretty respectable book. If you're into paranormal romance you might well enjoy this, but if it's not your thing this, like the others, is probably not for you. After three fantasy books in a row, here's a change... animal-centric autobiography. I read Cleo by Helen Brown a couple years ago and quite enjoyed it so when I saw a fluffy kitten and it was a sequel to a book I enjoyed I knew I had to read After Cleo came Jonah. 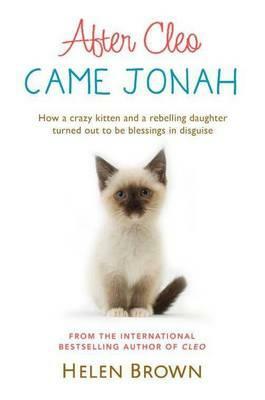 It was a good book - as much about family and dealing with the coming-of-age of others as it is about the cat Jonah. Another enjoyable book recommended to those who have an interest in biography.